It’s curious. Microsoft’s new CEO Satya Nadella has been in place for only a month which means that almost everything announced at Build, Microsoft’s developer conference which took place last week in San Francisco, must have been set before he was appointed; yet there was a sense of “all things new” at the event, as if he had overseen a wave of changes. In support of this, Microsoft announced a new Universal App project for Visual Studio, which lets you share both visual and non-visual code across multiple targets. How much is shared is a developer choice. There is more. A Universal App is now (kind-of) a desktop app as well as a Store app, since in a future free update to Windows 8, it will run on the desktop within a window, as well as appearing in the Start menu on the desktop. We were even shown this; apparently it is a mock-up. This was the biggest surprise at Build. We are going all in with this desktop experience, to make sure your applications can be accessed and loved by people that love the Windows desktop. We’re going to enable your Universal Windows applications to run in a window. We’re going to enable your users to find, discover and run your Windows applications with the new Start menu. We have Live Tiles coming together with the familiar experience customers are looking for to start and run their applications and we’ll be making this available to all Windows 8.1 users as an update. I think there will be a lot of happy people out there. This is significant. When Myerson says, “we are going all in with this desktop experience”, he does not mean backtracking on Windows Store apps, to return to desktop windows apps (Win32 or WPF) as the future of Windows development. Rather, he means Windows Store apps integrated into the desktop. There is a further twist to this. Windows Store apps are sandboxed and cannot communicate with each other or with the operating system other than via carefully designed and secured paths. This is in general a good thing, but restrictive for businesses designing line of business apps. It also means that legacy code cannot be carried over into a Store app, other than by full porting. In the just-released Windows 8.1 Update this has changed. Side-loaded apps (in other words, not deployed from the Windows Store) can now escape the sandbox thanks to Brokered Windows Runtime Components. There are some limitations (32-bit only on the desktop side, for example) but this will make it possible to implement business applications as Store apps even if they need to interact with existing desktop applications or services. There is still a huge blocker to Store apps from a business perspective, which is that you need Windows 8. Still, my guess is that once the update with the restored Start menu appears, most of the objections to Windows 8 will melt away. 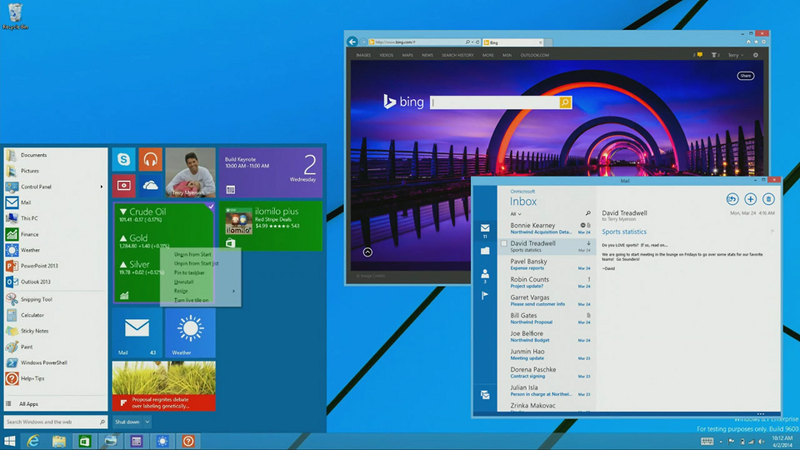 We also saw Office for the Windows Runtime, which will run on both Phone and PC. It is written, I discovered later, in XAML, DirectX and C++ (“Blazingly fast”, we were told). Corporate VP Kirk Koenigsbauer introduced a preview of this, or at least PowerPoint. No detail yet, and several references to “early code” suggest to me that this is a year or more away from full release (giving Office on iPad a big head start); but it will come. 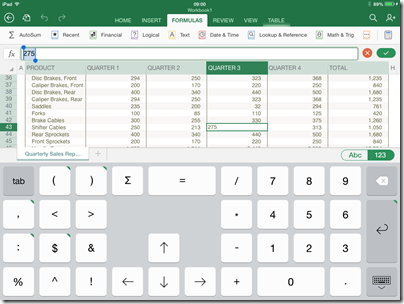 Koenigsbauer did not call it cut-down; in fact, it was instanced as proof that WinRT is suitable for large-scale apps, so I would expect something more complete than Office on iPad; yet it is hard to imagine things like the VBA macro language appearing here in its current form (VBA is based on the ancient Visual Basic 6.0 runtime), so there will be some major differences. We also saw Windows Phone 8.1, including the Cortana virtual personal assistant who responds to voice input. For me other things in Windows Phone 8.1 are more significant, including new swipe-style keyboard for fast text input, VPN, S/MIME secure email, and a new notification centre. Unlike touch Office, Windows Phone 8.1 is coming soon; Nokia’s Stephen Elop (soon to be in charge of Windows Phone at Microsoft) said that the first 8.1 Lumia devices could be out from May, depending on territory, and that all Lumia Windows Phone 8 devices will get the update in the summer. 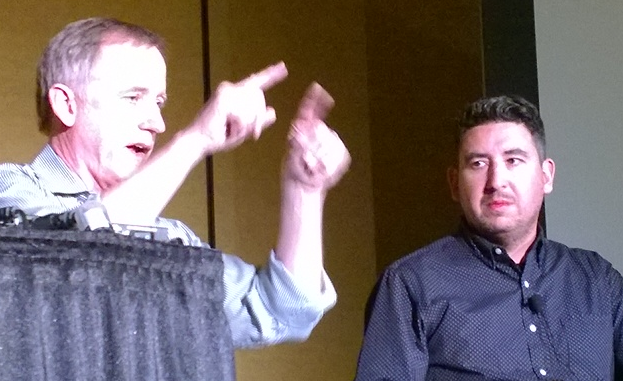 On to day two, which was Cloud day, though we also got significant .NET developer news. 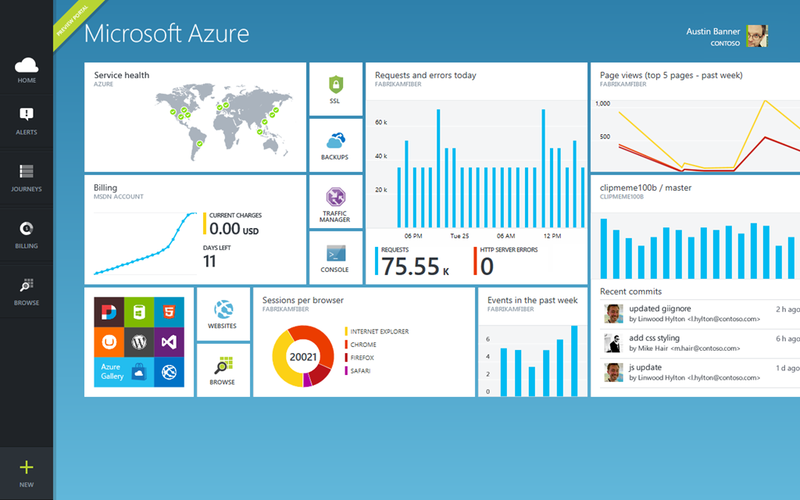 Executive VP Scott Guthrie introduced a new portal for Microsoft Azure, the cloud platform. This is not just a new look, but integrates with Visual Studio online so you can easily view and edit the code and track team projects. There are also new monitoring and analytics features so you can check page views, page load time, browser usage and more. Guthrie also announced integration with Puppet and Chef for deployment automation. The transition to compilers as platforms dramatically lowers the barrier to entry for creating code focused tools and applications. It creates many opportunities for innovation in areas such as meta-programming, code generation and transformation, interactive use of the C# and VB languages, and embedding of C# and VB in domain specific languages. Roslyn will be fully released in the next version of Visual Studio, for which we do not yet have a date. Roslyn will be delivered alongside C# 6.0. In the upcoming months, the .NET Foundation will be inviting many companies and community leaders to join the foundation, including its Board of Directors and will then finalize its operational details, including governance models for its open source initiatives, membership structure and industry and community engagement. Another significant event in the .NET story is the arrival of true native code compilation for .NET, although currently only for 64-bit Store apps. More on this soon. A couple of events during Build caught my eye. One was de Icaza’s session on using C# to build for iOS and Android, not so much for the content itself (though there was nothing wrong with it), but rather for the huge attendance it drew. 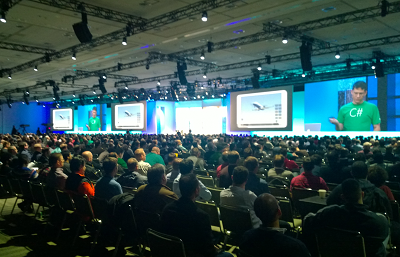 The session was moved to the Build keynote room, and while there were spare seats, the room felt well filled. This speaks loudly about the importance of those platforms even to Microsoft platform developers, as well as of Microsoft’s support of Xamarin’s work. 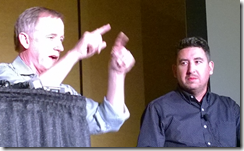 Another was the appearance of John Gruber, author of the Daring Fireball blog and an Apple enthusiast. 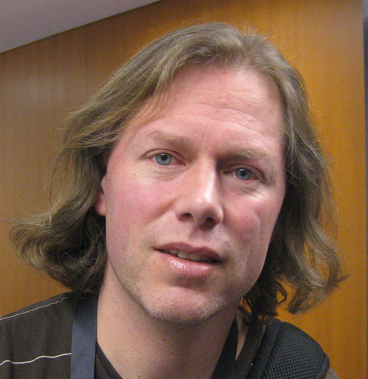 He appeared in a video during the keynote, explaining how a project in which he is involved uses Azure for back-end services, and then in person at another session, interviewing journalist Ed Bott about what is changing at Microsoft. Gruber seems to me representative of a group of smart observers who have not in general been impressed with Microsoft’s endeavours over the past few years; but he for one is now more positive on the subject. 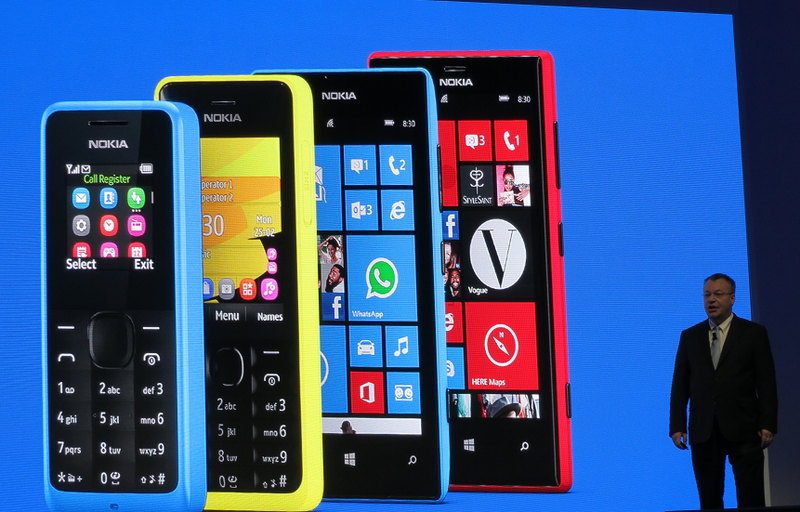 Windows Phone is much better than its market share suggests, he said. This alongside Azure and a new openness to supporting third-party clients has made him look more favourably on the company. My summary is this. On the Windows client side, Microsoft is taking its unpopular Windows release and its minority Phone platform and making them better and more compatible with each other, making sense of the client platform in a way that should result in growth of the app ecosystem both on Phone and PC/Tablet. On the cloud side, the company is building Azure and Office 365 (two platforms united by Azure Active Directory) into a one-stop platform that is increasingly compelling. The result was a conference and a direction that was largely welcomed by those in attendance, as far as I could tell. That does not mean that the PC will stop declining, or that iOS and Android will become less dominant in mobile. There is progress though, and more clarity about the direction of Microsoft’s platform than we have seen for some years. For the official news from Build, see the Build Newsroom. Microsoft Corporation and Nokia Corporation today announced that the Boards of Directors for both companies have decided to enter into a transaction whereby Microsoft will purchase substantially all of Nokia’s Devices & Services business, license Nokia’s patents, and license and use Nokia’s mapping services. 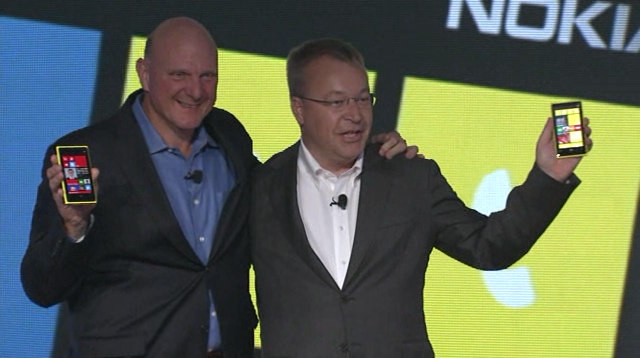 The plan is that Elop, together with other executives from his team, will move to Microsoft. 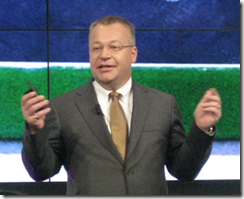 This is a circle completed for Elop, who was formerly in charge of Microsoft Office. Nokia is retaining its patent portfolio, but licensing its patents to Microsoft for a 10 year term. Microsoft is acquiring approximately half of Nokia’s business overall, but all of its phones including the low end Asha range. What are the implications for Windows Phone? One the face of it, the deal makes some sense. Nokia was the only Windows Phone OEM making real efforts to support and establish the platform, and has a large market share within the Windows Phone market. Although Windows Phone is struggling versus the iOS and Android giants, to Nokia’s credit it has established itself as a firm number three, ahead of Blackberry, and done some impressive work especially with the camera element. Windows Phone, driven largely by lower priced Nokia smartphones such as the Lumia 520, now represents around one in 10 smartphone sales in Britain, France, Germany and Mexico. For the first time the platform has claimed the number two spot in a major world market, taking 11.6% of sales in Mexico. 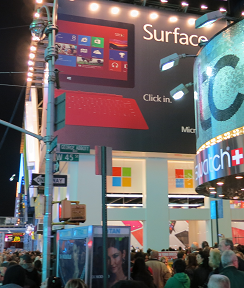 What will be the effect of the acquisition on the Windows Phone platform and ecosystem? 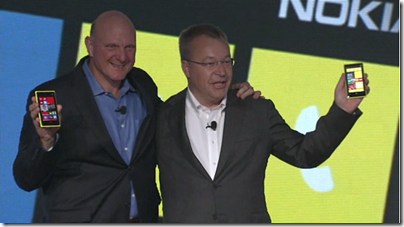 On the plus side, it gives Elop’s team access to more funds and removes any uncertainty surrounding Nokia’s future. If Microsoft keeps the proven team and its design and manufacturing expertise together, this could work. There are obvious risks though. Without Nokia, Microsoft did a poor job of marketing Windows Phone, and while some of that is down to half-hearted hardware partners, Microsoft was also to blame for poor execution. Now that Nokia is Microsoft, there is a danger that its effectiveness will slip back. Another question is how this will impact the other Windows Phone vendors, such at HTC and Samsung. Nokia already seemed to be a favoured partner, so perhaps little will change, but it seems unlikely that this will energise the other partners and it may have the opposite effect. The Windows OEMs hate Microsoft’s efforts with Surface (even though it was their own failings that forced Microsoft into the venture) and the phone vendors may well feel the same about Micro-Nok. There is now no non-Microsoft smartphone vendor for whom Windows Phone is anything but a small sideshow. That could change, but it is not a sign of health. Whether Nokia was right to embrace Windows Phone rather than Android is an open question; and perhaps it should not have abandoned its Meego (Linux) efforts, but given that it did both, it seems to me that Elop has performed well and was successfully growing the platform, albeit from a small base. Will he be allowed to continue that work at Microsoft, as well as gaining greater control over the software side of Windows Phone whose slow pace of development, it is rumoured, was a source of frustration to Nokia? Alternatively, history tells that Microsoft can suffocate its acquisitions (remember Danger?). Personally I like Windows Phone. When I looked at a Samsung Android recently, I was struck by how disorganised and confusing an Android smartphone can be, though impressed by its capability. Windows Phone is decent and I hope it carves out a reasonable market share. The risks, though, are obvious. At Mobile World Congress there are endless identikit Android smartphones. Does that justify Nokia’s decision two years ago to adopt Windows Phone? We will never know; but there is some merit in a distinctive offering, even though it comes with the pain of being a minority choice. The press would prefer to see jaw-dropping new features on state of the art mobiles, but instead Nokia is delivering what the Windows Phone ecosystem actually needs: cheaper phones. Along with a couple of new feature phones, the 301 with a reasonable camera and Exchange email support, and the 105 at €15 and with a battery that lasts for a month, Nokia CEO Stephen Elop announced two new Lumia devices. The 520 is €139 but still a full-featured Windows Phone 8 device, with a 4” screen, apparently the same camera lens as on a 920, and Nokia’s location apps which are now branded HERE: Maps, Drive and Transit, and Nokia Music with free “Mix Radio” or premium quality, lyrics and download for €4 per month. The 720 has a more advanced camera with a large f/1.9 aperture and a wide-angle front camera (usually front cameras are rubbish). Wireless charging with an optional cover. The 720 will be €249. These devices will be in Asian territories this quarter and Europe probably in the second quarter of this year. Android phones are also available at this kind of price; but my observation is that Windows Phone plus Nokia design and manufacturing compares well to the cheaper Android offerings. The significance of these phones is that they have the potential to grow the market for Windows Phone apps and maybe to persuade key names like the BBC (there is no iPlayer for Windows Phone) that the platform is worth supporting. 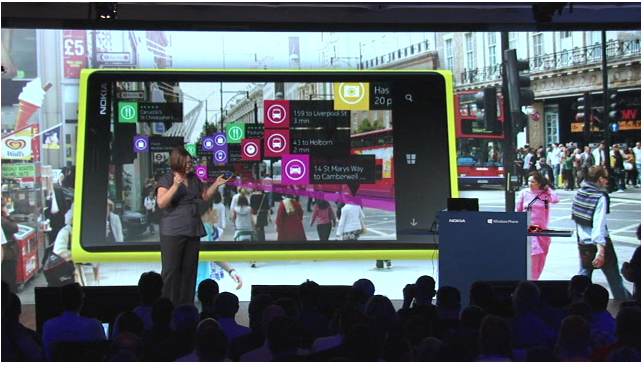 Nokia also announced that its mapping technology will be in Firefox OS. It wants more users for its location services in order to improve their quality. More users means more data. Another announcement is that the API for Nokia location and imaging features are being opened to third-party developers. Whether you regard it as the beginning of the end for Windows, or a moment of rebirth, for me it was the year of Windows 8. Microsoft’s new Windows is fascinating on several levels: as a bold strategic move to make a desktop operating system into a tablet operating system, or as an experiment in how much change you can make in an established product without alienating too many of your customers, or as the first mainstream attempt to create an “immersive” user interface where users engage solely with the content and have to make an effort to summon menus and tools. The context is also gripping. Microsoft’s desktop monopoly is under attack from all sides. Apple iPad and Google Android tablets, cloud apps that make the desktop operating system irrelevant, Mac OSX computers and laptops that have captured the hearts of designers and power users. Windows still dominates in business computing, but the signs of encroachment are there as well, with reports of iPad deployments and a shift in focus away from desktop apps. Windows 8 is intended as the fix, making Windows into a first-class tablet operating system and establishing a new app ecosystem based on the Windows Runtime and the Windows Store. How is it going so far? Not too well. App developers have not flocked to the platform. Users who were happy with Windows 7 have been bewildered. Most seriously, the Windows ecosystem of OEM vendors and general retailers has failed to adjust to the concept of Windows as a tablet operating system, treating it more as a somewhat awkward upgrade to Windows 7. 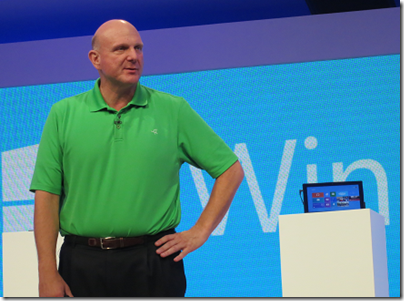 The work of Windows President Steven Sinofksy in overseeing the engineering and design of Windows 8 and delivering it on schedule has been amazing. He kept his team focused and shipped a release of Windows that is faster and with nice improvements on the desktop side, as well as offering a tablet personality designed for touch-first, in which apps are securely sandboxed and easily installed from an online store. At the same time, it is easy to see ways in which Microsoft bungled Windows 8. Why was Microsoft so unrelenting with its “immersive” UI that it would not tolerate an option to show things like time and battery status on screen all the time, or three dots for “more” so that users will more easily discover the app bar, as suggested by Paul Thurrott? Why did Microsoft spend mind-stretching amounts on advertising for Windows 8 and for Surface RT tablets, but not allocate enough budget to create a decent Windows 8 Mail app, for example? The current effort is a constant annoyance, especially on the Surface where there is no alternative. Why did Microsoft expend so much effort pumping up the number of apps in its Store, but so little effort nurturing quality? Very few outstanding apps were available at launch, and even now they are hard to find. I say this as as someone who likes Windows 8 overall. The strategy makes sense to me, but the execution in some critical areas has been disappointing. So near but so far. The sudden departure of Sinofsky immediately after the Windows 8 launch was unfortunate; a significant loss of a person with both vision and the ability to implement it. That said, despite all the difficulties Microsoft has now launched this radically different version of Windows; it is over the first hump and provided that the company keeps its nerve, it can focus on refining the platform and creating compelling new apps that will persuade users to explore it. Further, users who have the patience to learn a few new ways to navigate Windows will discover that it is a decent upgrade, with strong features like Hyper-V, improved file operations, Windows to Go and more. It is tablets that matter though. Tablet usage will continue to grow, and if Microsoft cannot establish Windows as a tablet platform, its further decline is inevitable. 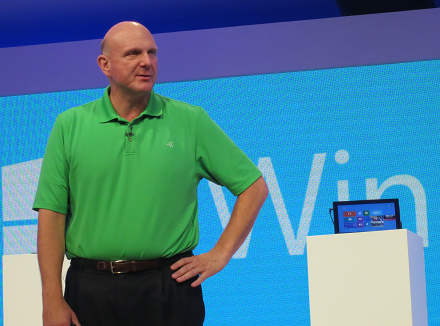 Does CEO Steve Ballmer have a grip on this huge, dysfunctional, brilliant, frustrating company? Maybe 2013 will answer that question definitively. 2012 also saw the launch of Microsoft’s first own-brand tablet. It is high quality, exceptionally strong, with long battery life thanks to its ARM processor and supported by keyboard covers that let you flip it between touch and keyboard/trackpad without making the device too bulky or complex. 1. Performance is barely adequate. It is usable, but Office is sluggish with large documents and apps are noticeably less responsive than on x86 Windows 8. That said, the NVIDIA Tegra 3 chipset is capable of fast graphics, and some games run surprisingly well, so it is not all bad. 2. The lack of strong apps affects Windows RT devices like Surface more than x86 Windows 8, since you cannot install desktop apps. 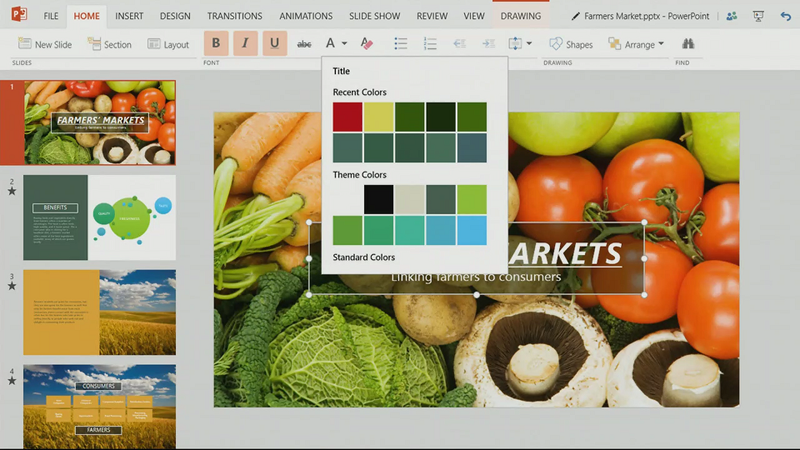 Yes, it is a new platform, but Microsoft could have done better. 3. There is too much desktop in Windows RT and therefore in Surface RT, making the device more complex than it should be. 4. Microsoft has not yet established Windows 8 as a tablet platform in public perception, nor yet provided the apps that make it work fully as a tablet platform. One consequence is that when someone goes out to buy a tablet, they do not think of Surface RT as a candidate; it is iPad or Android. Another consequence is that reviewers tend to evaluate Surface RT as Windows rather than as a tablet. Considered as Windows, it is weak compared to x86 builds. Despite all the above, I often slip Surface RT into my bag when travelling. 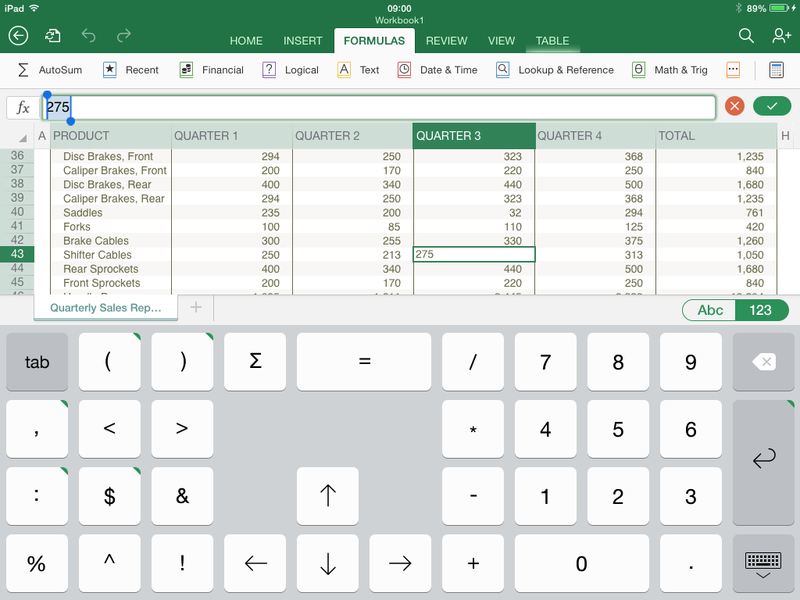 The combination of small size, keyboard cover, long battery life, and Word and Excel is a winner for me. Surface RT 2, with faster performance and a more mature app platform could be great, if the product makes it to a second edition. 2012 was a bad year for Apple. On one level everything is fine, with iPads and iPhones selling like fury, and the successful launch of iPad Mini. What changed though is that the concern of the late Steve Jobs, that Android is close enough to iOS to capture a lot of its market, became a reality. Android is the bestselling smartphone platform and Android tablets, led by Google Nexus and Samsung Galaxy, will likely overtake iPad for the same reasons: better value, more vendors, faster innovation. There was plenty of litigation in 2012 as Apple sought to protect its inventions, but despite some legal successes, Android has continued to grow and it looks unlikely that court action will do much to impede it. Another problem for Apple is that price pressure makes it difficult to sustain the high hardware margins which have made the company so profitable. 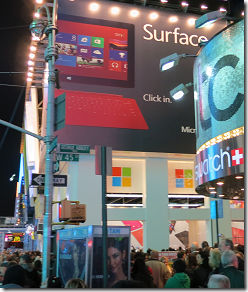 The Windows 8 drama caught our attention, but Microsoft has been busy elsewhere, generally with better success. The most significant development was the transformation of the cloud platform, Windows Azure from an also-ran to a compelling contender (though still small relative to Amazon), thanks to the addition of IaaS (infrastructure as a service), or plain old Windows VMs, along with a new management portal that makes the service easier to use. Microsoft also released Server 2012, a substantial upgrade to Windows Server particularly in Hyper-V, but also in storage, remote access, server management, and general modularisation. Windows Phone had a mixed year, with a sage in sales when Microsoft announced that Windows Phone 7 devices will not be upgradeable to Windows Phone 8, but ending more positively with relatively strong (in the context of a market dominated by iOS and Android) sales for new Windows Phone 8 devices. It was a good year for Office 365, on-demand Exchange and SharePoint, which is now an obvious choice for small businesses migrating from Small Business Server and a plausible choice for medium and larger businesses too. 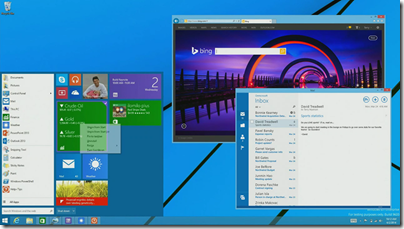 2012 also saw the launch of Office 2013. I am not so sure about this one. It is meant to be the version of Office that is touch-friendly and cloud-centric. It is not too bad, but with its washed-out appearance and various annoyances it hardly seems a compelling upgrade. Office needs a “Windows 7” release, one where Microsoft focuses on what Office users find slow and/or irritating and sets out to fix the issues. Microsoft took too much of my attention in 2012, something I hope will change in 2013, but one company which caught my attention was Adobe. Without great fanfare, it has successfully switched the business model for the Creative Suite (PhotoShop, Premiere, Dreamweaver and so on) which forms the largest part of its business to a subscription-based model with cloud delivery and additional cloud services. It has also moved its technical platform away from Flash and towards HTML with less pain that I had expected, and is coming up with interesting new tools in its Edge range. Most impressive. 2012 was painful for RIM, which saw interest in its Blackberry platform decline to the point where many now consider it of little relevance in mobile, but mitigated by intense effort to engage its developer community in preparation for the launch of Blackberry 10 devices at the end of January 2013. It may be too late; but the new OS does have attractions, especially in business where there is innovation in the way it separates business and personal use of a single device. Is Windows Phone or Blackberry 10 the third mobile platform after iOS and Android, or will these two stragglers simply weaken each other while Apple and Google dominate? Amazon dominates the IaaS market and with good reason: relatively low prices, high quality of service, and fast pace of innovation. It was this last that most impressed me when I attended an update last November. Amazon prefers to talk to developers and businesses rather than the press, and its services are perhaps under-reported relative to its competitors. An impressive operation, with an inspiring CEO. It may not have vanquished Facebook, but of all the tech giants Google has had the best year, with sustained success in search and advertising, huge Android sales and the establishment of the operating system on tablets as well as smartphones, thanks to Samsung and Google’s own efforts with the Nexus range. Google also won some kudos versus Apple following the iOS 5 maps debacle, with Apple’s own mapping efforts found wanting. Not everything has worked for Google, yet. The web-centric Chromebooks are out there, but whether there is much appetite for netbooks that run everything in the browser is an open question; there are security advantages to this computing model, but users would rather have Android with its rich app ecosystem and greater freedom. How will Google monetize Android, in the face of further fragmentation and a competitor like Amazon helping itself to what is free but building its own commercial platform on top? Another open question, though my guess is that Google will find a way. Google rationalised its services in 2012 and pushed hard on its social platform, Google+, but failed to make much dent on Facebook’s popularity. At the end of 2012 we were reminded of the downside of reliance on cloud providers when Google pulled Exchange ActiveSync support from its free email service. Existing users are not affected, but new users will find it harder to set up Gmail accounts on devices such as Windows Phones. Free users can hardly complain, but if they have become reliant on a gmail address there is an element of lock-in which Google is now using to discourage users from using a competitor’s mobile device. A few predictions. More Microsoft fireworks as the PC and laptop market continues to decline; Apple vs Android wars; a strong play from Google for the Office/Exchange/SharePoint market. What else? If the past is anything to go by, expect some surprises. A principal engineer at Nokia, Justin Angel, has written a piece showing how to hack apps on Windows 8, undermining their potential revenue for the app vendors. “This is an educational article written in the hope both developers and Microsoft can benefit from an open exchange of knowledge,” he says, adding that the article was written in his own time and has nothing to do with his employer. 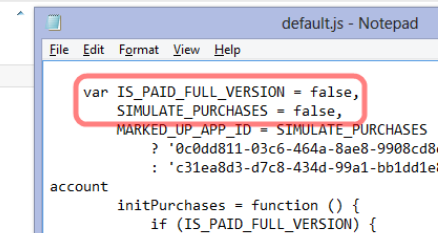 Compromising in-app purchases by modifying data held locally, such as app currency. Although Angel is writing in his own time, the issues are relevant to Nokia, which makes Windows Phone devices and may make Windows 8 tablets in future. Should Angel have revealed the cracks so openly and in such detail? This is an old debate; but it is sure to increase pressure on Microsoft to improve the security of the platform. Nokia’s CEO Stephen Elop announced the Lumia 820 and 920 yesterday in New York; new versions of its high-end Windows smartphones and the first to run the forthcoming Windows Phone 8 operating system. Windows Phone 8 runs the same kernel as Windows 8 on PCs and is a significant step towards unification of Microsoft’s development platform. Wireless charging with the Qi standard and a couple of deals to place charging points in public places. The London Heathrow Virgin Atlantic lounge and the Coffee Bean & Tea Leaf chain will have charging points; not much, but a start. Wireless charging accessories include the JBL PowerUP which combines wireless charging and an audio dock. PureView imaging technology. This is Nokia’s brand name for a bunch of photo features. Most significant is “floating lens technology” on the larger 920 which, Nokia claims, overcomes camera shake to enable the camera to take in “five times more light”; think of it as a virtual tripod that allows longer exposure without motion blur. If it works it is a huge feature for photo enthusiasts. City Lens augmented reality which overlays the view through the phone’s camera with data about what to do and where to go; apparently there is data for indoor as well as outdoor locations. Synaptics ClearPad touch which enables gloved finger support. Since Synaptics is a third-party I guess this feature is unlikely to be exclusive to Nokia for long. Windows Phone 8 operating system shown off by Microsoft’s Joe Belfiore, including more customizable Live Tiles and a “Blink” feature from Microsoft Research which takes multiple shots in quick succession to enable interesting features like avoiding closed eyes and allowing after-the-event editing using alternate shots. Screenshots are now a built-in feature. Who cares? Journalists of course; non-availability of this trivial feature meant fewer screenshots of Windows Phone 7 on the web. Lumia 920 has a 4.5 inch screen, 1.5Ghz dual core Snapdragon S4, front and rear cameras, 1GB RAM, 32GB storage. Lumia 820 has a 4.3 inch screen, 1.5 Ghz dual core Snapdragon S4, front and rear cameras, 1GB RAM, 8GB storage, microSD slot. That suggests a considerable wait before availability. Even if the Lumias go on sale the same day that the SDK is final, it sounds like November at best; and that gives developers no time at all to work with the new SDK before launch. Key developers have early access of course. Overall the event was less than it should have been, at a time when Android looks vulnerable thanks to Apple’s patent win over Samsung last month. In some ways though, Nokia’s announcements have little to do with the key questions over Nokia’s Lumia range and Windows Phone 8. Quality is one issue; the launch of the Lumia 800 was damaged by the device’s poor battery life and tendency to sulk and become unchargeable; the rumour is that return rates were unusually high. The knock-on effect is to make it hard for retailers to recommend it to their customers, though firmware updates eventually improved matters. How is battery life on the 820 and 920? What has been done to address quality issues? Another question, and to me the biggest one, is how Windows 8 for PCs will fare in the market and the impact it will have on Windows Phone. The more time I spend with Windows 8 the more I like it, especially on a tablet, but also on the desktop. There is a barrier to adoption though as the new user interface is a demanding transition for some users. If Windows 8 tablets succeed, there will be instant recognition for the phone user interface and users will have a reason to demand it over iPhone or Android, something that has been lacking up to now. On the other hand, if appreciation for the nice features of Windows 8 is drowned out by a chorus of “give us back the Start menu”, while vendors focus on expensive fiddly hybrids rather than simple, lightweight tablets, then I doubt Windows Phone 8 will take off either. Currently I use a Lumia as my main smartphone and (battery life aside) get on well with it. Nokia’s experience with the operating system should mean that this new generation is better, and the phones look good. As Elop himself said though, this is all about ecosystems, and the viability of his third ecosystem is still in the balance. … all the Qt activities formerly carried out by Nokia. These include product development, as well as the commercial and open source licensing and service business. Following the acquisition, Digia plans to quickly enable Qt on Android, iOS and Windows 8 platforms. Digia had already acquired the Qt commercial licensing business from Nokia in March 2011. Up to 125 people will transfer from Nokia to Digia. This is a move that makes complete sense, given that Qt is no longer central to Nokia’s plans. I once hoped that Nokia would port Qt to Windows Phone and the Windows Metro runtime in order to unify its development platform but it seems that if anyone will do that, it is Digia. It is not clear from the release whether Digia’s Windows 8 plans include the new runtime, but you would imagine that it does since as far as I know Qt already works fine on the Windows 8 desktop side. See Digia’s Qt site for more info. A quick comment on Nokia’s dismal results for the first quarter of 2012. Sales are down 26% quarter on quarter; Smartphone sales down 38% despite the introduction of the Lumia Windows Phone in Europe. Negative operating margin, heavy losses. Translation: the new Lumias are failing to compete effectively against Apple iPhone and Google Android devices. I have a Lumia 800 and like it increasingly. It is elegant and nice to hold, it works well, and Nokia Drive makes an excellent SatNav, to mention three good things. Nevertheless, I am not surprised by the poor sales. When I first got the Lumia its battery life was poor; it is still not great, but was much improved by the last firmware update I installed (1600.2487.8107.12070), for which I had to use a manual process. There was also an aggravating problem where if the phone ran out of power completely, it could not easily be charged. In other words, it was nearly a brick, though I managed to coax it back to life by repeatedly reconnecting the charger. The problem seems to be fixed with the latest update. I do not think my experience is untypical, and can see that while in one sense it is a great phone, from another perspective it qualifies as buggy and problematic; I expect returns were above average. The problems are fixable, but with hindsight Nokia should have worked that bit harder to ensure a trouble-free launch. The US launch of the Lumia 900 may be better since the company has had a little more time to improve quality, though there was a data connection bug. The bigger problem is that Windows Phone has everything to prove; iPhone and Android dominate the market, so the Lumia has to be sufficiently better to win customers over to a braver choice. App availability is another factor. Windows Phone is not on the radar for most app vendors – because its market share is too small. Despite a few lapses, I have been impressed with what I have seen of Nokia’s Windows Phone efforts. Nokia’s marketing and developer evangelism has been far better than Microsoft’s. At Mobile World Congress in February Microsoft had a large stand but was mainly doing silly “smoked by Windows Phone” demos, while Nokia’s stand was humming with activity. I also incline to the view that Microsoft is more to blame than Nokia – except insofar as Nokia could have made a different choice of partner. 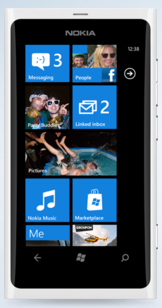 Windows Phone 7 was nicely designed but badly launched, more than a year before the Lumia appeared. The launch hardware was uninteresting and Microsoft failed to line up strong operator or retail support for its devices. Microsoft focused on quantity rather than quality in the Windows Phone app store, resulting in a mountain of rubbish there. The pace of development in the Windows Phone 7 operating system has also been rather slow, but the issues are more to do with marketing and partner support than with the OS itself. Nokia has gone some way towards fixing the issues. Its devices are better, and so is its marketing. It is unlikely though that Nokia can succeed unless Microsoft also ups its smartphone game. Microsoft’s strategy for Windows Phone and Windows 8, as far as I am aware, does make some sense. We will see convergence of the operating system, improved tool support with an option for native code development, and a coherent cloud story. This will take time to unfold though. It also seems likely that Windows 8 will have a rocky launch, with desktop users disliking the Metro-style elements imposed for the sake of tablet support. Nokia has indicated that it will be producing Windows 8 tablets as well as phones, but whether this will be an instant hit is at the moment uncertain. 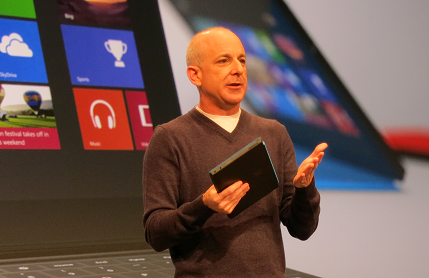 Who knows, perhaps it will be Windows 9 before Microsoft really makes its tablet strategy work. The problem is that Nokia does not have time to wait while Microsoft sorts out its mobile phone and tablet strategy. It needs quick success. First, Microsoft can hardly afford to see Nokia fail, so some sort of acquisition would not surprise me. Second, how difficult would it be for Nokia to bring out some Android smartphones alongside its Windows range? Currently we are told that there is no plan B, but perhaps there should be. 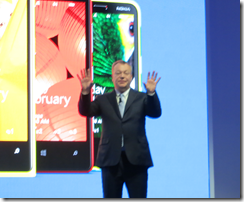 Nokia at Mobile World Congress: one year after the Windows Phone shift, how is it doing? At Mobile World Congress in Barcelona Nokia CEO Stephen Elop reminded the press that this is the anniversary of the company’s big change of direction, when it adopted Windows Phone as its primary smartphone platform. So how is it doing? Nokia’s speed of execution has been impressive. Since that announcement, the Lumia range has been introduced around the world; we were told today that it is on the way to China. The large screen Lumia 900 with LTE support has been launched in the USA and is coming to other territories, the next being Canada. 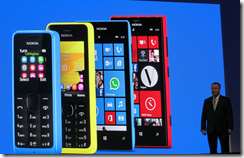 Nokia is also continuing to launch new Symbian devices. Today we heard about the Asha 202 and 203 which have touch screens as well as keypads, and the Asha 302 which includes an app-capable browser and support for Microsoft Exchange, pushing at SmartPhone boundaries but at a lower price. Perhaps the most interesting announcement today though was that Microsoft is lowering the minimum hardware requirements for Windows Phone 7 – a surprising move given that technology advances are already making the existing requirements less expensive. The new, lower bar is 256MB RAM and a slower processor. This enables Nokia to launch the Lumia 610 at 189 Euro. One of the intriguing questions: as Lumias fall in price, what is the future of Symbian at Nokia? The question was asked at the end of the press conference but not answered. 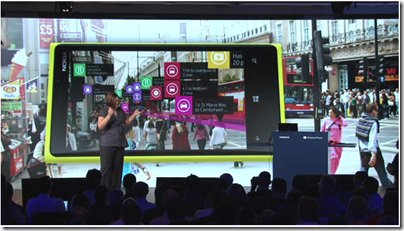 To add to the confusion, Nokia announced the Symbian-based 808 Pure View with a 41 megapixel sensor and “CD quality” recording. Apparently it is Symbian because it was developed before the Windows switch. Nokia is betting on location-based services and announced improvements to Nokia Drive (full offline support) as well as Nokia Transport, for local bus and tram services. Is Nokia’s Windows adventure working out? That is the question, and remains a wait and see, though my judgment based on the first year is that it remains in the game. In a sea of Android here at Mobile World Congress it does at least have something distinctive to offer. Will Nokia’s Qt come to Windows Phone? When Nokia acquired Trolltech back in 2008, it made perfect sense as a way of supporting development on Symbian, its smartphone operating system, and nudging the Qt project, which provides a cross-platform framework for native applications, more towards mobile rather than just desktop application support. It also made sense as Nokia worked on Maemo and then Meego, its Linux for mobile project. 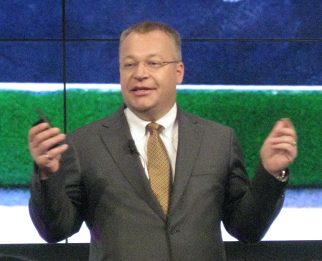 Then came February 2011 and CEO Stephen Elop’s announcement that Nokia would partner with Microsoft and make Windows Phone its primary smartphone operating system. Windows Phone 7 does not support native code development, other than by operators, manufacturers, and of course Microsoft itself. What future for Qt at Nokia now? Here at Blackberry Devcon Europe, Nokia’s Lars Knoll, Qt Chief Maintainer, has been introducing Qt to Blackberry developers. Qt forms a critical part of RIM’s Blackberry 10 (BBX) platform, based on the PlayBook tablet OS and set to come to Blackberry phones later this year. The Cascades UI framework, for hardware-accelerated 2D and 3D rendering on BBX, uses Qt core and an adaption of QML (Qt Modeling Language). You can use Qt with or without Cascades on BBX. Given that Nokia makes mobile devices which are in competition with RIM’s devices, it may seem odd that Nokia is supporting Qt on Blackberry. I asked Knoll about the status of Qt within Nokia following the move to Windows Phone. There’s not too much I can say right now. The only thing I can repeat is that we’re still investing in Qt. We’re actually hiring more people to work on Qt. Qt is an essential part of the strategy for the next billion. That’s all I can say right now, but stay tuned, in time you’ll hear more. He added later that Nokia is in business to make money; in other words, there are strong business reasons for Nokia to continue with Qt. The “next billion” reference refers to Nokia’s stated intention to bring apps to the next billion. One possibility is that Qt will in fact support a future version of Windows Phone. It is already clear that Windows Phone 8 will use the same kernel as Windows 8 and we can expect a unified development platform build on the Windows Runtime (WinRT), which does support native code development. It is not too much of a stretch then to expect a future Qt framework that will target Windows Phone and Windows 8 tablets. 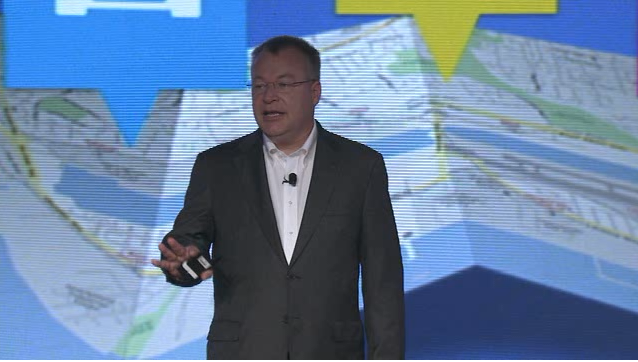 Nokia’s Elop has also hinted that it is interested in Windows tablets as well as phones in future.